In recent years, smoking has become a less accepted endeavor, as many public businesses have banned individuals from smoking on their premises. This can pose a problem for the social smoker, who enjoys lighting up along with getting a drink with friends or during a night on the town. E cigs can be a great option for individuals who smoke both regularly and socially. Here’s a little more information about e cigarettes, how they work, and some of the benefits they offer to regular and social smokers alike. E Cigarettes are battery-powered devices that simulate the experience of smoking. They are called vapes, because they use a heating element to vaporize a solution. They don’t contain tobacco, but many do contain nicotine. Some solutions include flavoring as well as nicotine. There are also solutions available that have a flavor without nicotine. Unlike traditional cigarettes, the battery-powered device is not disposable, so once you purchase one, you’ll have it a while and just need to restock it with the solution of your choice. Most E cigs are made to look like a traditional cigarette, but pipe and cigar forms are also available. 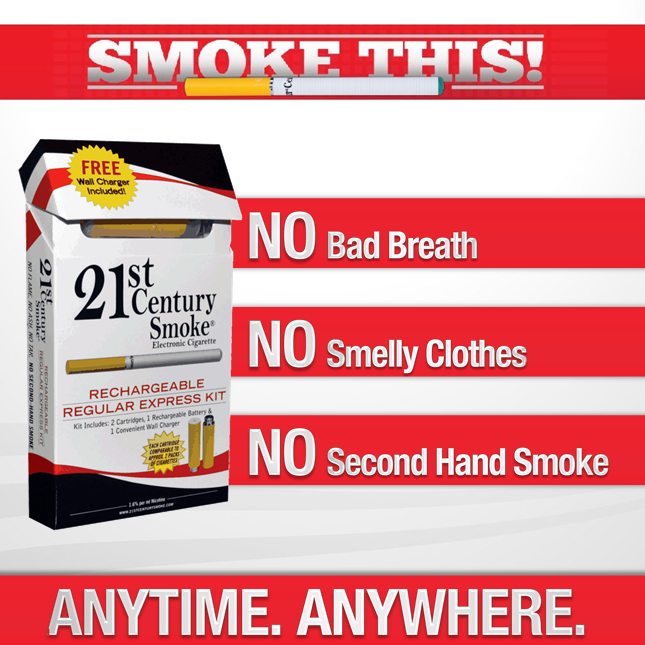 More info on E cigarettes is available at www.21stcenturysmoke.com. E cigarettes typically give off a less intrusive smell than traditional cigarettes, so they are great for social gatherings with friends who may be sensitive to second-hand smoke. Rather than leaving your group of friends to go off for a smoke, they offer the potential to remain in the social circle for the entire course of the evening. In fact, some of the solutions for e cigs may even be pleasant to those around you. Because E cigarettes are not disposable, you also avoid having to find an adequate container to dispose of unsightly cigarette butts. Even if you only smoke E cigarettes at home, they can still offer some benefits over traditional cigarettes. They are much cleaner, so there’s less risk of ash spilling onto your clothes, furniture and flooring. The smell also doesn't linger like second-hand smoke from traditional cigarettes. Most people who choose E cigs also save money, because E cigs are reusable and only require the ongoing purchase of solutions to smoke. You can read more about the benefits of E cigarettes at 21stcenturysmoke.com. See if they’re right for you.